The Press of Robert LoMascolo: Visitors. . . . 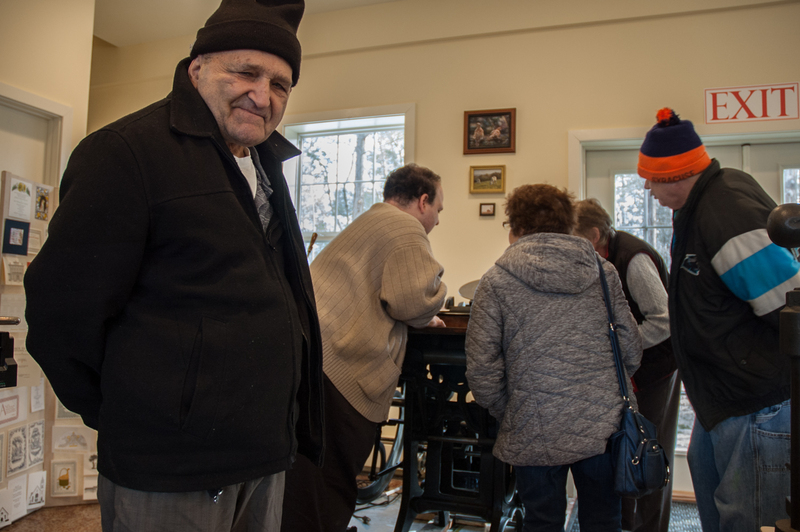 This morning a group from Arc of Seneca Cayuga came out to tour the studio and try a bit of printing.